The film, directed by Partly Cloudy’s Pete Sohn and produced by Denise Ream, looks like another winner from Pixar. The Good Dinosaur is set in a prehistoric Pacific Northwest, and the glimpses of the world we received were jaw-dropping in its realism. 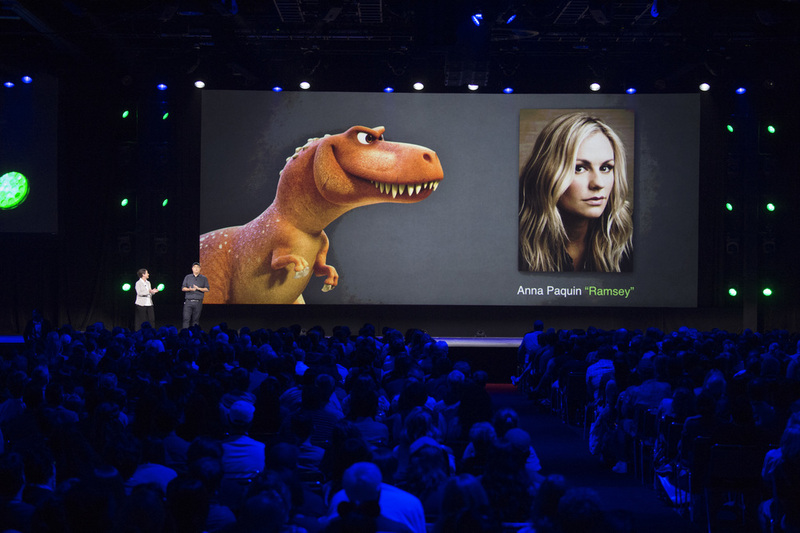 Ream had to assure us that we were looking at animation, which is in stark contrast to the cartoonish Arlo the Apatosaurus (Raymond Ochoa) and his dog-like human companion Spot, a fun anachronistic artistic choice. Arlo is the smallest of three children, with parents voiced by Jeffrey Wright and Frances McDormand. Arlo sticks close to his family, and especially his father, who tragically passes away because this is a Disney movie. The hits keep comin’: Arlo gets swept away by a river, taken from his home and lost in a foreign wilderness, albeit a beautiful one. Then he meets Spot, a feral boy who grow up in the wild away from his family, and the two form a bond that will likely leave you whimpering into your handkerchief (if you’re one of 12 people who own a handkerchief). I almost did merely from a scene of the two bonding over the loss of family. It was beautiful. On their Homeward Bound/Land Before Time-like adventure home, the pair encounter villainous vulture-like Pterodactyls and a group of T-Rex’s, named Butch, Ramsey and Nash. Their voices? Sam Elliott (Tombstone), Anna Paquin (True Blood) and AJ Buckley (Justified), respectively. In another clip, we glean that the T-Rex’s are reminiscent of outlaws from the Old West, edgy cowboys who gallop like the horses they’d be riding if they were human. In fact, as they stalk long horns (buffalo), the Wild West frontier parable becomes clearer. 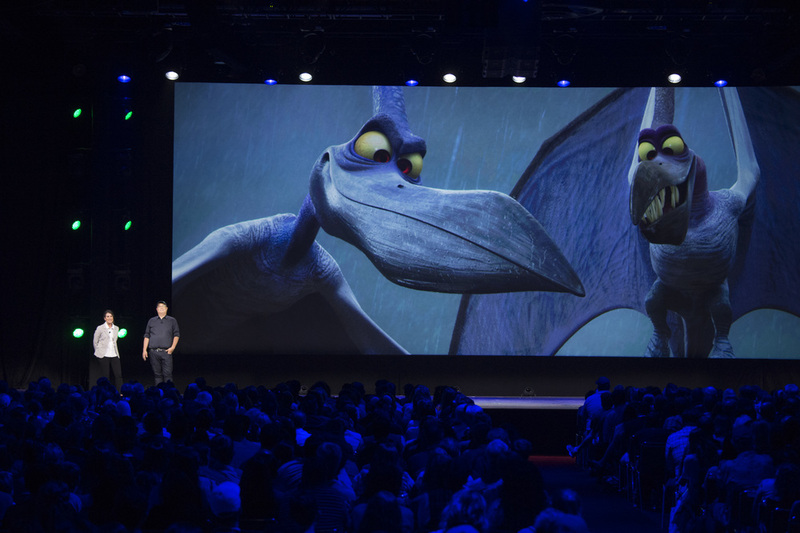 On November 25, 2015, the rest of Pixar’s next feature will be clarified. But your eyes certainly won’t be, surely blurry from all the blubbering emotions.